As Paris fashion week kicks off today, I thought I would share with you a few of the lovely flat shoes I spied for next season while I was away at Milan fashion week with InStyle last week. They were EVERYWHERE (yay!) and the most popular style by far was the flatform sandal. A few were a little too high for me, but there were plenty of beauts that totally count as flat shoes too. sport flatforms at Marni – too high? Continuing that walking sandals theme I saw at London fashion week, Moncler was showing these sporty elasticated sandals (top). I LOVE them. They won’t come cheap though, so I am hoping for high street versions that won’t break the bank. 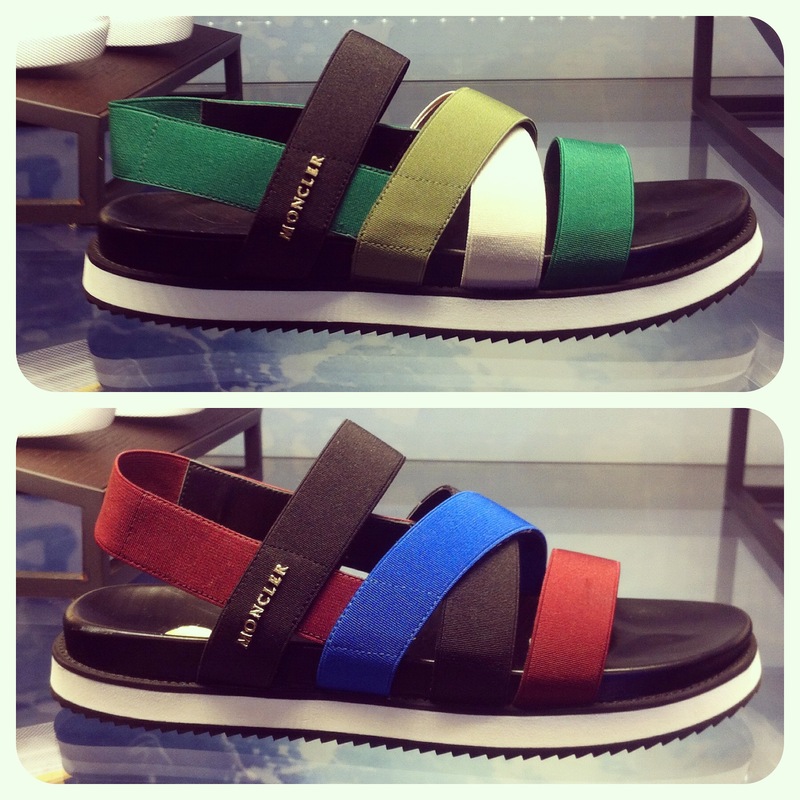 Marni also showed sporty sandals – a sort of trainer-sandal hybrid – but that flatform might just be a bit too high for me. 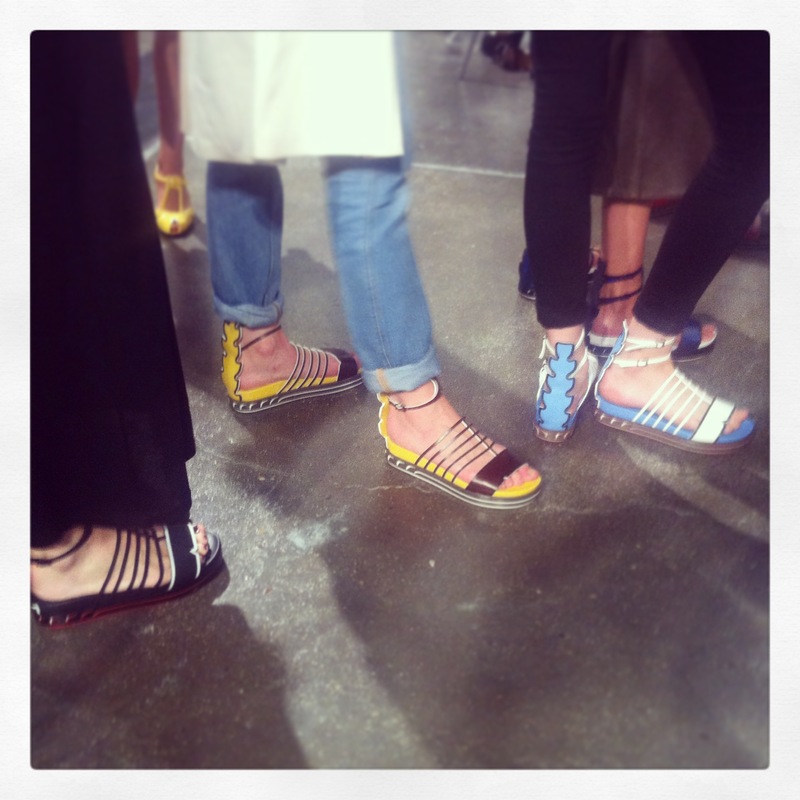 These sandals at Fendi were pretty amazing too. As if they weren’t beautiful enough from the front, there’s a surprise at the back with the leather design up the heel (which matched a leather tag tied on each of the models’ ponytails). 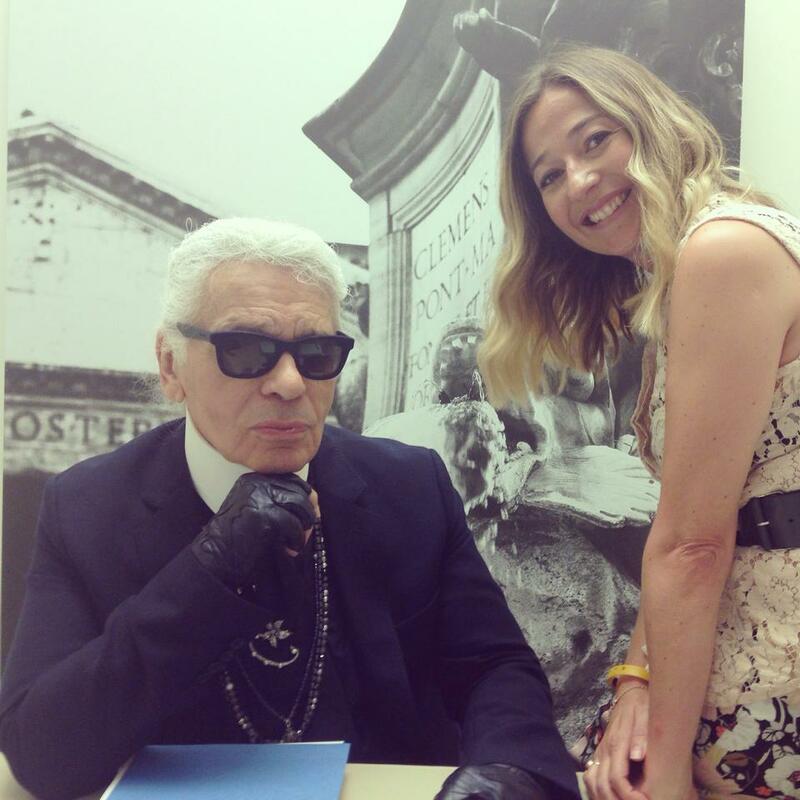 I was lucky enough to be backstage at this show working for InStyle, and even got to meet Karl Lagerfeld himself! Milan was also a haven for formal flat shoes. 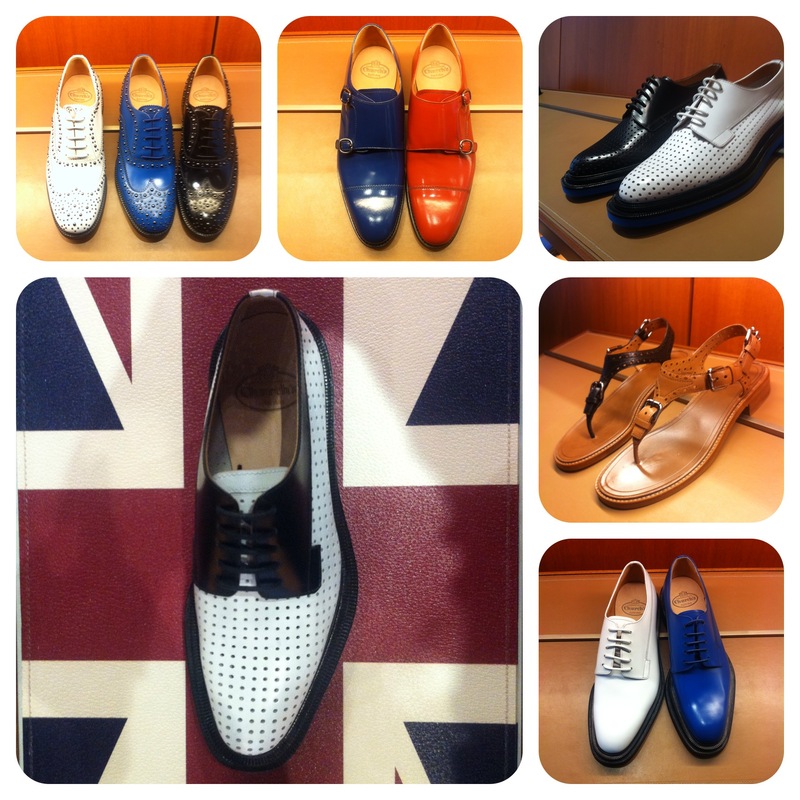 Although Church’s is a British brand, it shows its collection in Milan (because it’s owned by Prada) and it has some treats in store for SS15. There were a few more modern styles than you would expect from Church’s, including a perforated leather style with snazzy blue rubber sole, but it was the brogue sandals that really caught my eye. 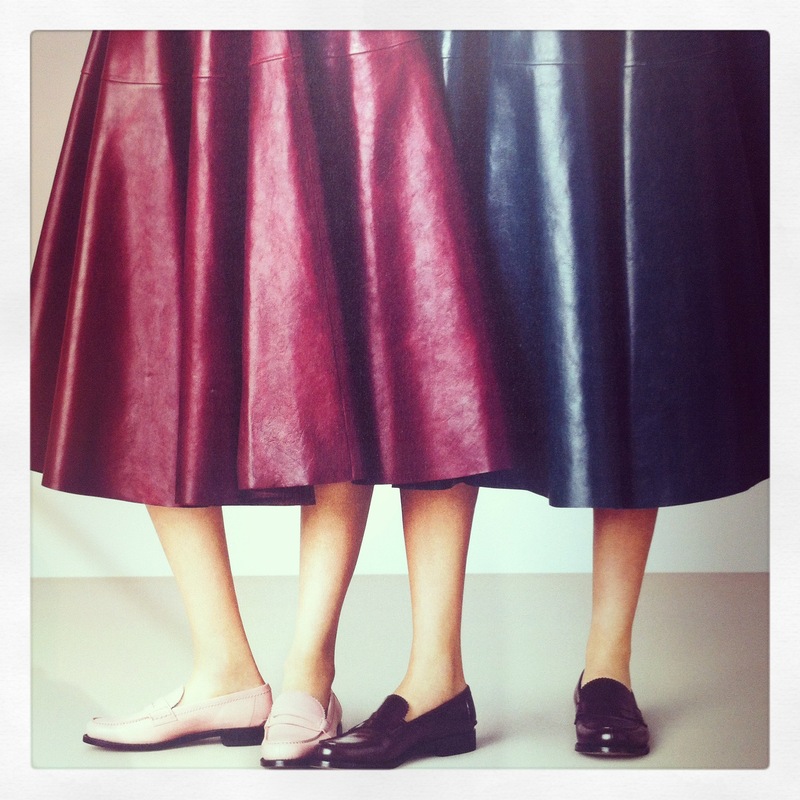 And Bally had some lovely loafers on offer; I particularly liked how they had styled them with mid-length leather skirts, though as a short person, this isn’t a look for me! That’s all from Milan. Next stop: Paris! Oh the Church’s are just to die for! And how exciting to meet The Karl.